What is Vitamin D and How to Get More of It! What is Vitamin D and How Can You Get More of It! Today I wanted to talk to you about one the questions I get asked almost daily in practice, and it’s always talking about vitamin D levels. So, what is Vitamin D? Well, simply put Vitamin D is obviously, a vitamin but it is honestly much more like a hormone. It acts on the cells and does all kinds of things. It’s tied into almost every single bio- chemical process that we have as humans. It is one the major things that I find is deficient in people who have auto-immune issues, heart disease, cancer, and neurodegenerative conditions. Anything and everything that is affecting us today in society is linked to a vitamin D deficiency. This is probably making an overstatement, but probably every disease has a vitamin and mineral deficiency that just haven’t found the one the right one that’s en vogue. The past five years it has become en vogue that vitamin D is one of those things that they are testing for significantly. Most of the time, in previous generations over the past thousands of years, we have been able to get enough vitamin D from the sun. Unfortunately, today’s society, we’re not getting nearly enough sun because, we are spending way too much time indoors. We’re not going out; we’re not going for walks, doing the things we need to do. Also, we’re looking at, really, in my opinion, a lot of this incidence of Vitamin D deficiency may be linked, at least correlated slightly, into the massive overuse of sunblocks and sunscreens. It just makes logical sense that if you block the UVB radiation then you have to be decreasing the production of Vitamin D from the sun. What makes up Vitamin D? Now let’s talk about the physiology of Vitamin D. When you are in the sun, UVB radiation, that’s the ultraviolet B form of radiation, hits our skin and takes cholesterol (which we’ve had a war on for the past fifty years) and turns it into a form of Vitamin D. That form of Vitamin D travels to the liver and then gets activated into what’s tested in the blood called 25 OH Vitamin D. From there, that’s still not really the most active form, it goes to the kidney and gets transformed into 1, 25 OH Vitamin D. So that’s the most active form, that’s the one that really is the most beneficial to us. Part of the problem I have with the blood tests right now is that they only measure that 25 OH Vitamin D. So there could be other breakdowns other places. If you don’t have enough 25 OH Vitamin D you may even not have enough cholesterol, you may even not have a liver that is functioning 100% to make that 25 OH Vitamin D. Then if you still are Vitamin D deficient and have symptoms you may have a kidney issue, may not be drinking enough water, may be deficient in vitamin a which we will talk about later on. 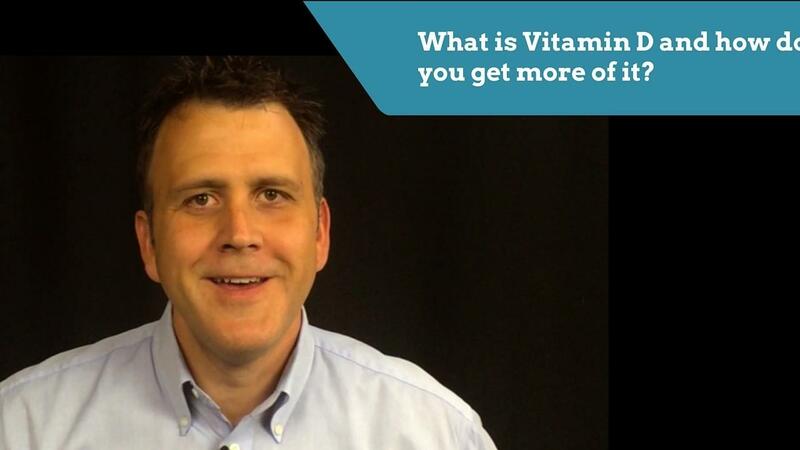 How do you know if you if you are vitamin D deficient and what IS a vitamin D deficiency? It is very nebulous and not quite defined what the signs and symptoms of a Vitamin D deficiency are. If you are old or young, it is a very good possibility you are Vitamin D deficient. If you are obese, it is a pretty good guess you are Vitamin D deficient. Vitamin D is one of the fat-soluble vitamins. If you are obese, you have a lot of fat cells that can store your fat soluble vitamins and hold on to them so that you may be relatively deficient. Consequently, you may have enough in your adipose tissue, but you may not have enough circulating in your blood where it is actually needed to get to the cell. Then when you look at other things, if you are depressed, have fertility issues, gut symptoms, gastrointestinal complaints (gas/belching/bloating/stomach pains), autoimmune disease, you probably have a Vitamin D deficiency. There are clinical definitions of deficiency. When we look at the blood, values we are looking 25 OH Vitamin D, which has a wide range. 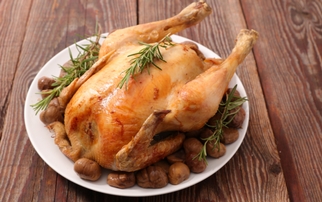 So, what does it mean when your doctor says, “You’re fine?” or “You’re deficient!”? I am a little bit more aggressive than most medical doctors when I look at Vitamin D levels. Even with the flaws in the test, that level should be a little bit higher even though there are other things can be going wrong that can cause a fluctuation in your Vitamin D status. When you are looking at your blood work, what is a normal range? Well, pathologically speaking it is 30 picograms per milliliter up to 100 picograms per milliliter. Anything below 30 means you are deficient and anything above means you are good. Well, there is an optimal range. That optimal range is 50-100. You don’t want to go toxic with Vitamin D because it can just be bad news. So what can you do if you know you are deficient? What can you do to get your Vitamin D levels up to optimal range? Supplements - I do need to elaborate here. There are many people who won’t do the two listed above because of their fear of risk of skin cancer or their fear of risk of eating certain foods. I do recommend supplements from time to time, and there are few D supplements that are pretty decent. It is a pretty complex synthesis of how to create Vitamin D. You need Vitamin A, Biotin, pantethine, boron, magnesium and fats (to help with absorption). Those of you out there who are just taking a Vitamin D3 supplement are missing the boat. You need to make sure it is a full spectrum supplement if you are going to do that. I have one or two good ones the best being from Apex Energetics that I recommend. Ultra D 5000 one is one of the few that I have found that has that full spectrum with the cod liver oil base, with the boron, the magnesium, etc. As great as Vitamin D is and as deficient as we all seem to be today. The cause may be simply our war on dietary fat consumption in all forms and our slathering ourselves in the massive amount of UVB blocking sunscreen. So, try the easy remedies of getting more sun and eating high-quality fats in your diet. If you still are deficient then consider supplementation. Until next time, remember to make your health as easy as you can and do the right things to take care of your health.